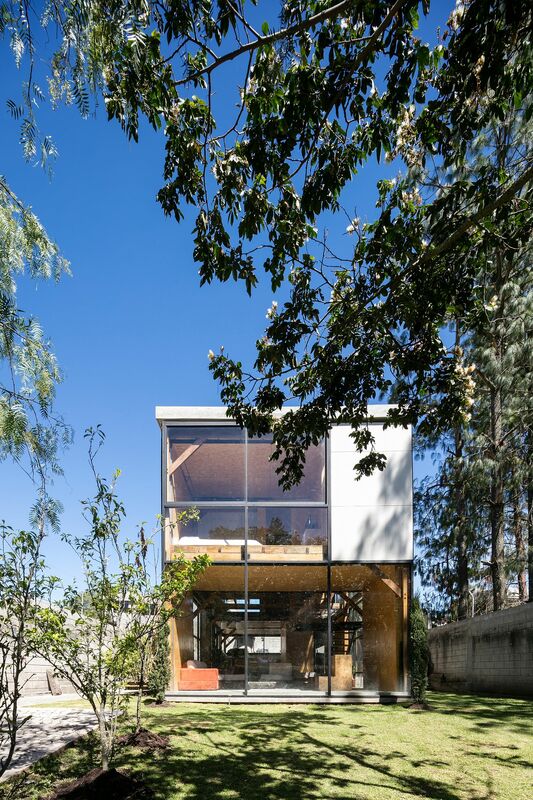 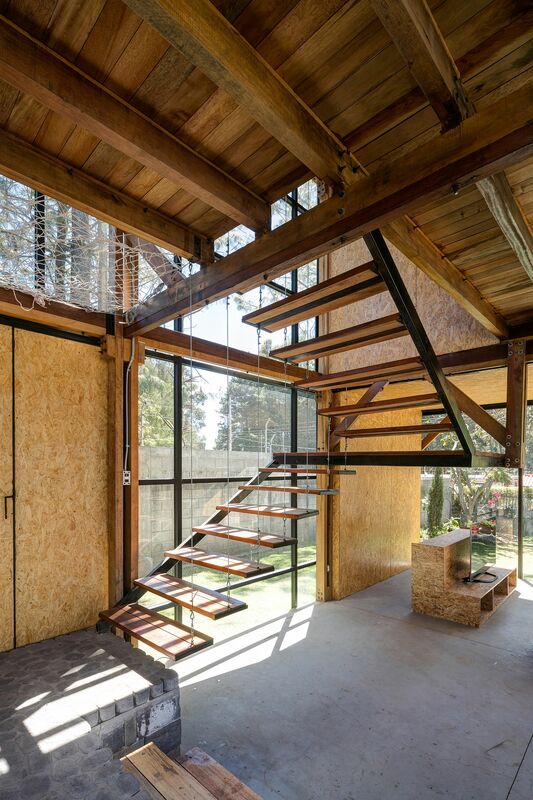 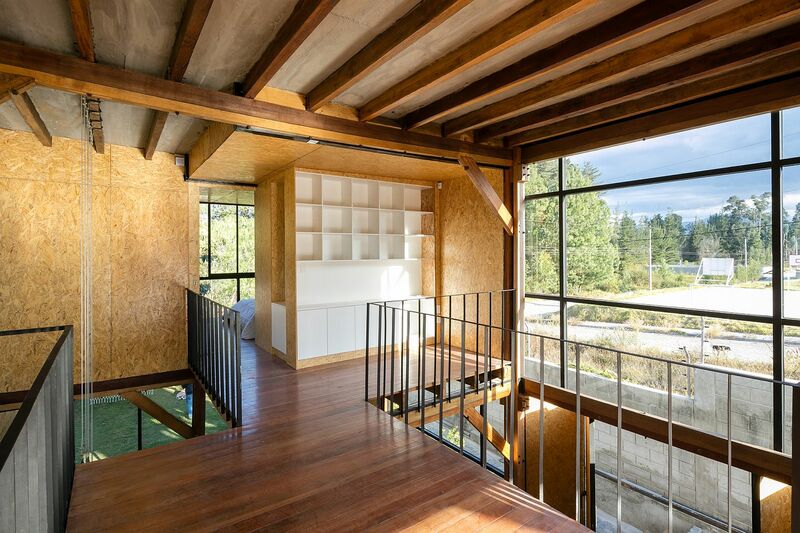 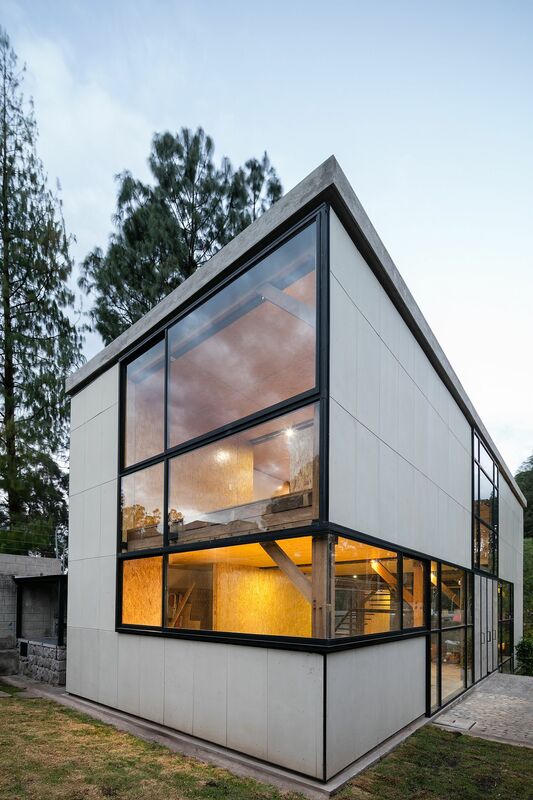 An affordable and nature-centric family home in Quito, Ecuador, Retoños house provides a fabulous gathering and living space for a multi-generational family of sixteen! 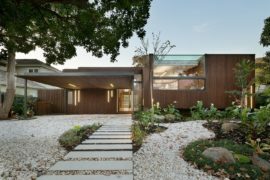 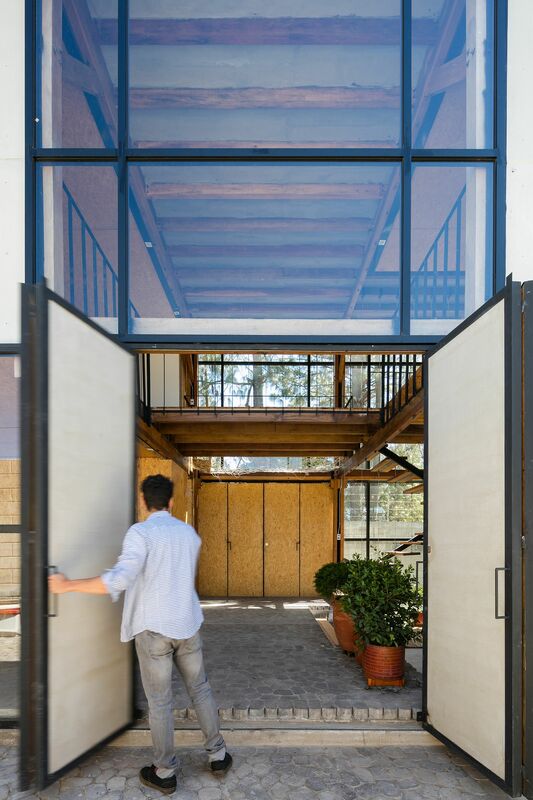 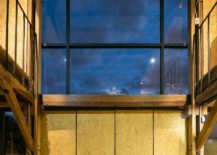 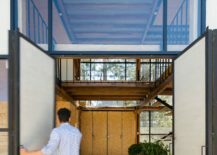 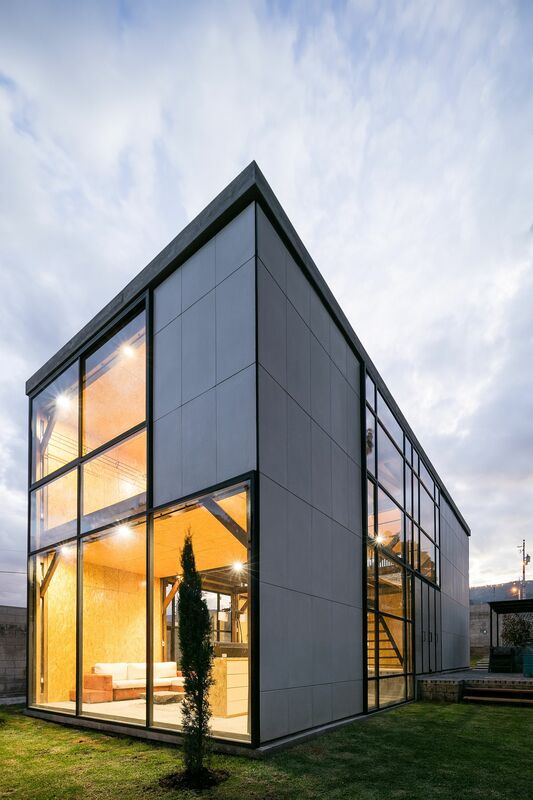 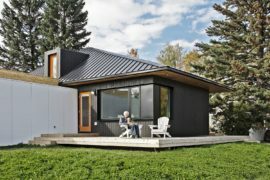 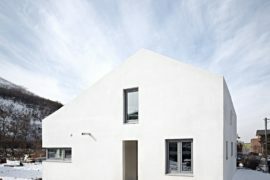 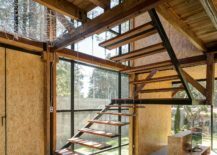 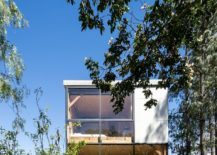 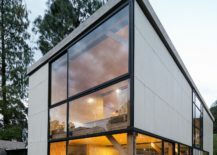 In a world where homes and families are becoming smaller and smaller, this ingenious house is a refreshing change of pace, both in terms of aesthetics and ergonomics. 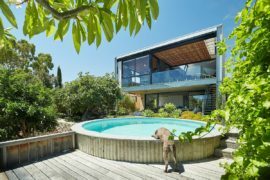 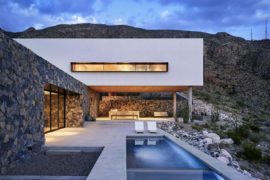 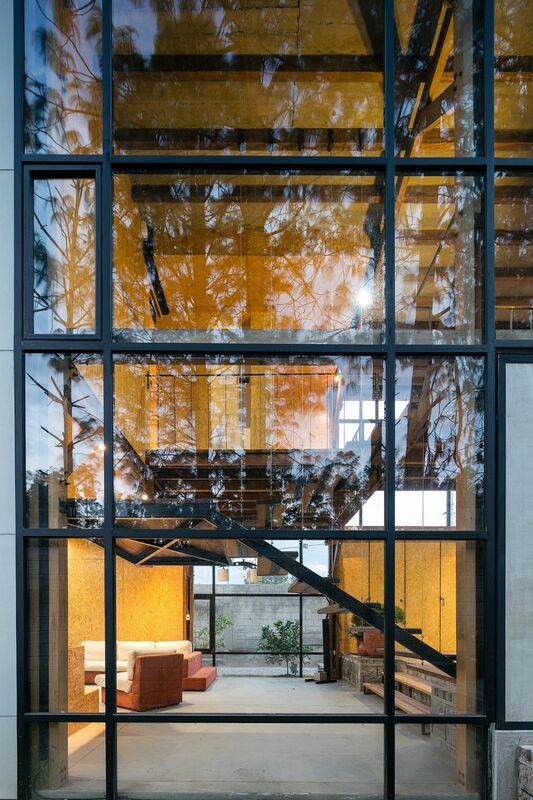 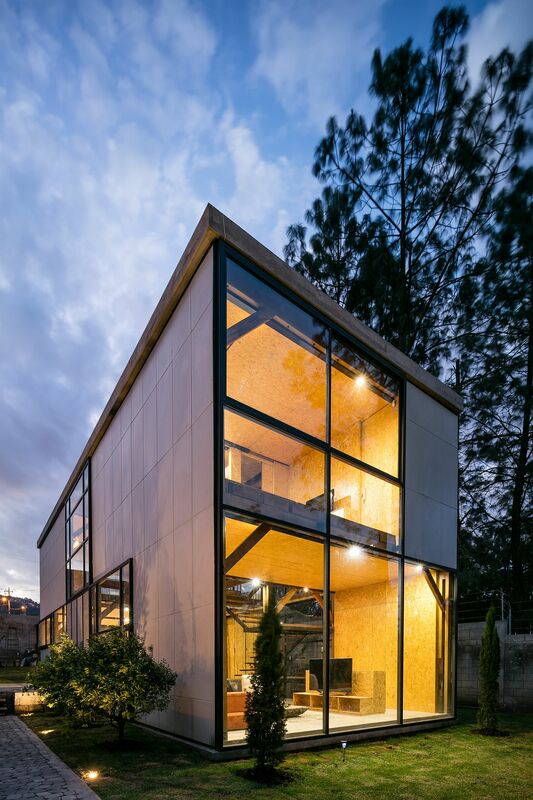 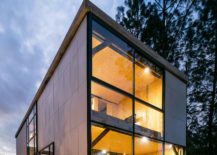 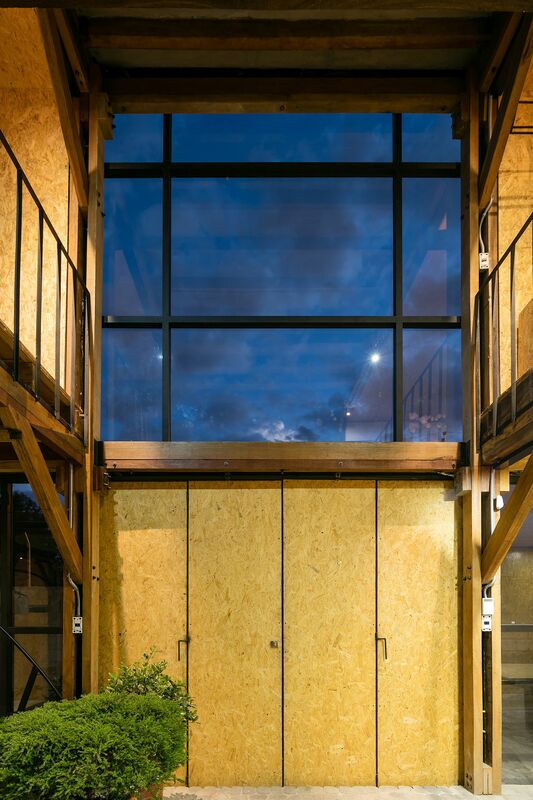 Designed by ESEcolectivo Arquitectos, it is OSB panels and cement boards that have been used extensively in shaping the overall silhouette of this relaxing residence, along with carefully placed glass windows. 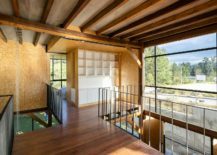 This exceptional blend of contrasting materials and an open design plan make this a one-of-a-kind suburban home! 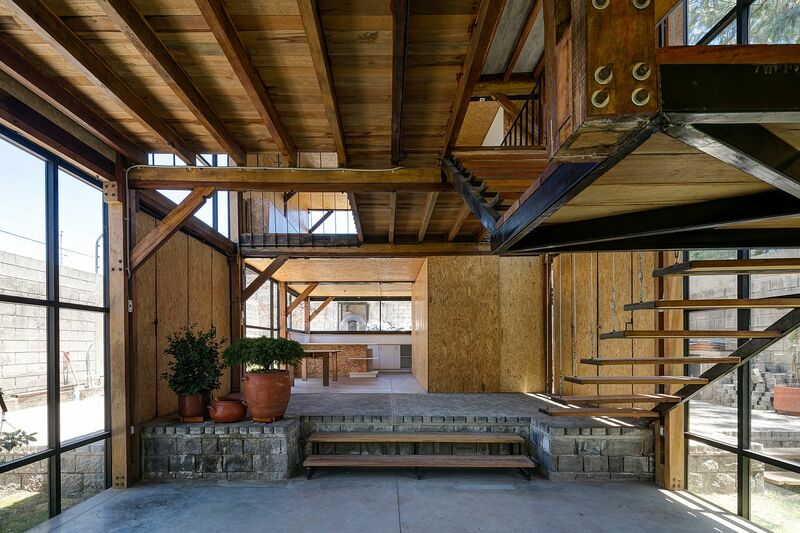 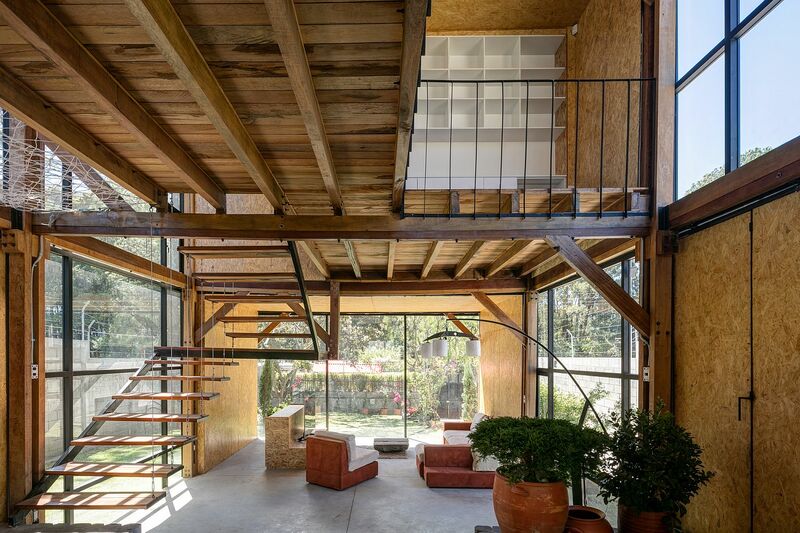 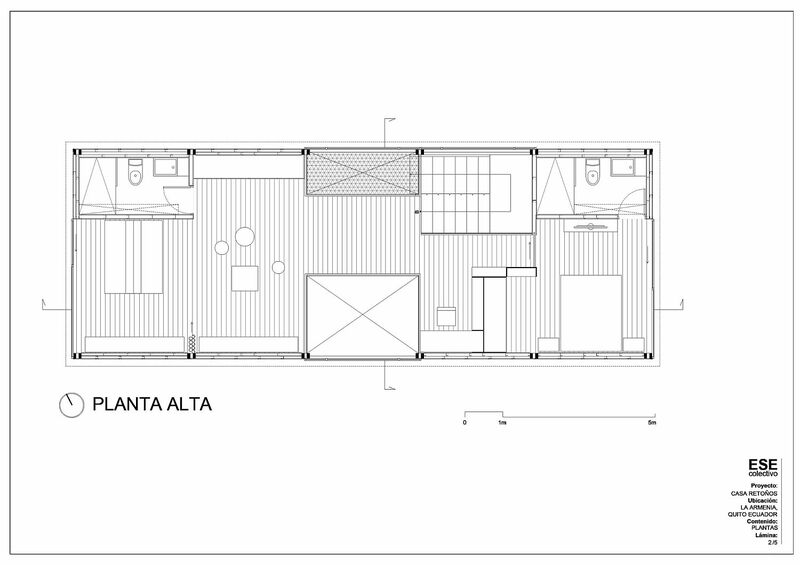 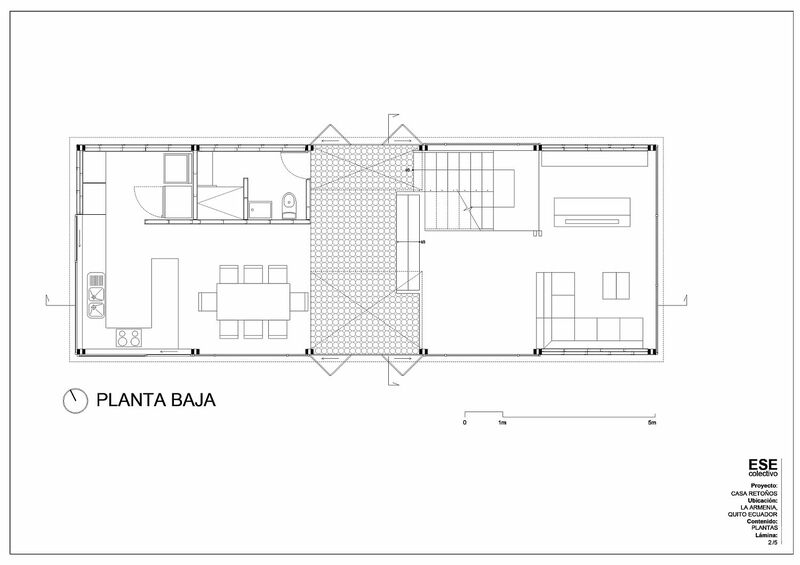 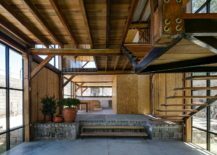 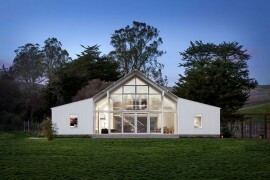 A two-story, vertical bar is the pivot around which the entire house is designed, with one side of it containing the living areas and the others holding the service spaces. 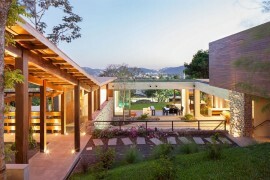 Two gardens, one at the front and the other at the back, provide plenty of space for the family members to enjoy the tranquil outdoors, with the open living area acting as a bridge between the two. 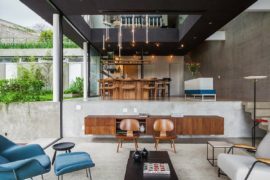 Internal partitions have been kept down to a minimum, with even the top level only holding a single master bedroom, along with an open sleeping space next to it.